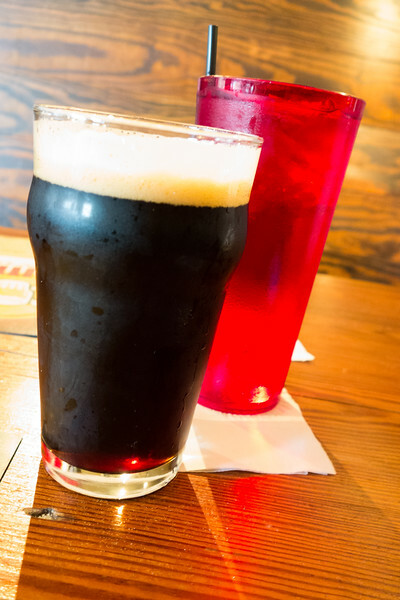 A review of The Terminal Brewhouse – a restaurant in Chattanooga, TN. One of the first things you notice about The Terminal Brewhouse is it’s location. It is located on the same side of the street and is a neighbor to the Chattanooga Choo Choo. The second thing is notice is that it’s a wonderful old brick building. When you enter the building you will be pleased to see that they have kept the decor perfect for the building. There is lots of old wood, with a cozy bar and exposed brewing tanks. The space is used perfectly and steps lead up to even more seating upstairs. It’s one of those places that makes me wish I lived closer to it because I could see easily going here a lot to just sit and have a beer. Having said that, I don’t really go here for the beer. Yes, the beer is good, but there are lots of places to get good beers around town. What there aren’t a lot of are places to get a good beer and a good sandwich. I come here for the Fru Fru sandwich. Yes, it is a bit Fru Fru and not what you would expect in a brew pub. 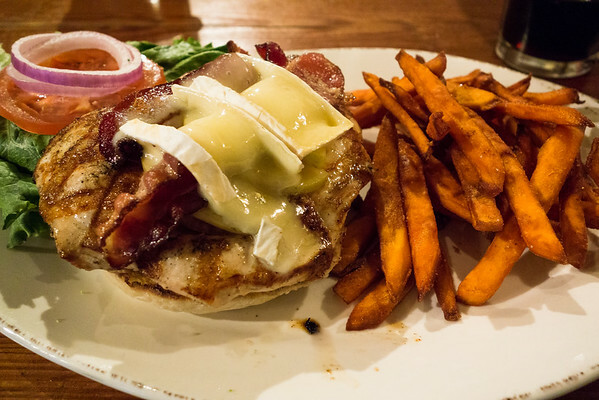 It is chicken that has been glazed with their copper ale, topped with fresh apple slices, bacon and then brie. It is wonderful. Another thing I like is the option to get sweet potato fries. They go perfectly with this sandwich. My husband gets the Short Rib Sammy. This is another winner with braised short ribs, grilled tomatoes, gouda cheese, candied red onions and spinach on a local hoagie. Again, not your typical brewpub food! 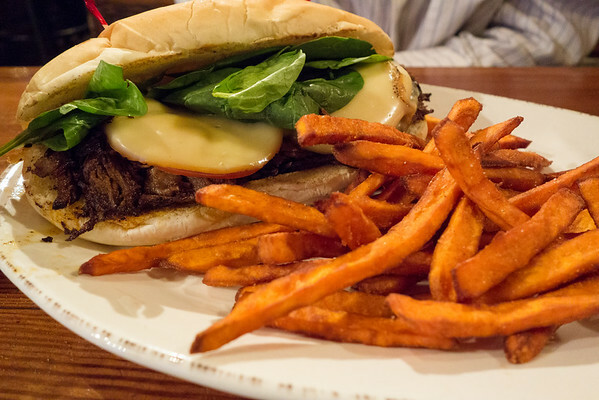 He also gets the sweet potato fries. A great place to have a beer and eat some extra good pub food!